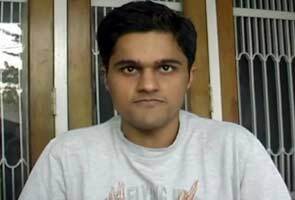 Ankur Dahiya, a 21 year old IIT student has been hired by social networking site Facebook with an annual package of Rs 65 Lakh. This is the first time that Facebook has hired someone from IIT Delhi. After finishing his course next year, Ankur will be placed in Paolo Alto, California. "Since the time I heard that Facebook is coming to our campus, I wanted to get selected.My dream has come true," Ankur said. 0 Response to "Facebook hires Delhi IIT student for 65 lakh per year"